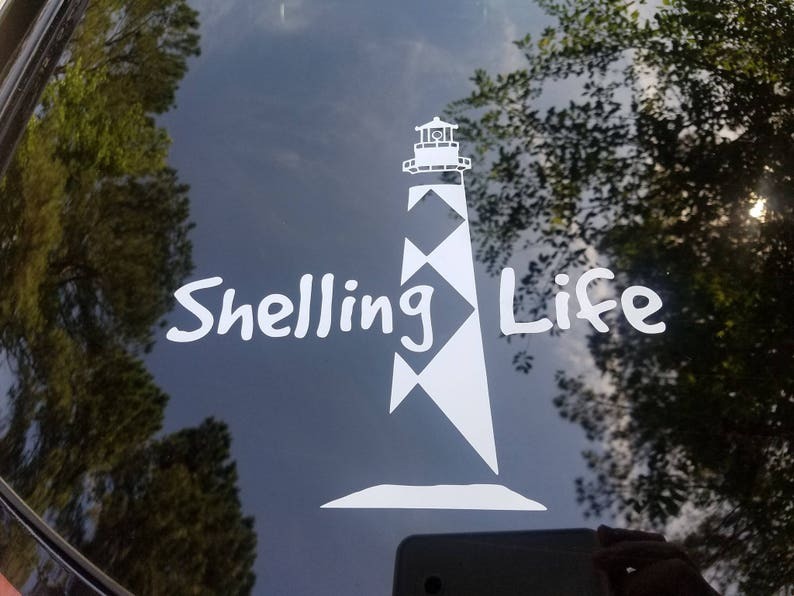 For those who love to hunt for seashells, let everyone know with our fun new car decal. Shelling Life® with a lighthouse, specifically Cape Lookout Lighthouse in North Carolina. Get this vinyl decal for your car window, or laptop, or any surface you like. Comes in one color or two color. Shown here in one color: Sea Foam and White. Measures 8" wide x 7" high.